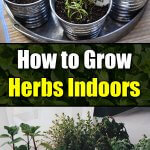 If you are having problems on how to grow African violets outdoors, you may find it easier to do it indoors. They are very good candidates both for terrarium and container planting. With their varied hues and beauty, how you use your creativity as you grow African violets will create for you a beautiful corner that complements your personality. African violets, from the genus Saintpaulias, are native to Tanzania. They can grow up to 15 cm tall, 30 cm wide, have velvety petals and grow in clusters. The colors of the untamed African violets are violet, light blue, purple, and white. Cultivars have hues of violet, white, pink, yellow. Some of them can also be found in green. Direct bright sunlight will scorch your African violets. Choose a location where your plants can have indirect sun rays. How? If your kitchen windowsill faces east, you have a nice growing spot. 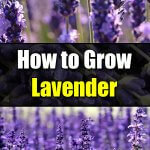 Double check by doing a two-fold test: position the back of your hand against the window where you want to grow them. If the sun transmits a shadow, it is bright enough. Next, make sure that the sun does not create a hot sensation on the back of your hand. If it does, that spot is too hot to grow African violets. How Do You Handle Insufficient Lighting? If you live in a dark basement apartment, you will need to create lighting such as fluorescent bulbs or other commercial grow lights. African violets do not like dark places. With insufficient lighting, they may or may not stop flowering. If they do blossom, your flowers will be of poor quality. Too much light can also cause their growth and flowering to a halt. 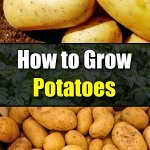 To ensure proportioned growth, regularly rotate your pots about a quarter turn. To grow African violets, know the difference between high humidity and wetness. Their irrigation needs are determined by temperature, humidity, soil, and drainage. 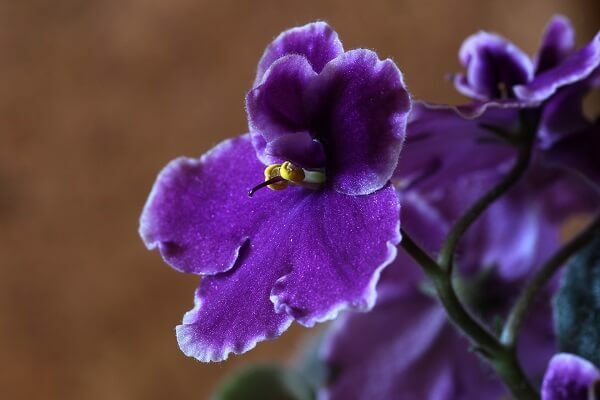 If the soil is dry to the touch, know how to irrigate your African violets. Water the tray, not the leaves. If the pots are placed directly in water, it can cause root damage to the plant. Try holding trays filled with pebbles and water. If you are using highly chlorinated water, let it stand overnight first so that the chlorine evaporates. Use tepid, not cold, water. If temperature is a problem, move your African violets indoors where it is cool. African violets grow very well in well-drained mature compost. They also like coir compost. 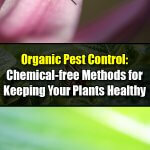 Unlike peat, it is free from fungal and bacterial spores. Fertilizers specifically formulated for African violets are available at nurseries. Check that the pH is 6.5-6.8. If you opt for a potting mix without soil, fertilize your African violets each watering time. 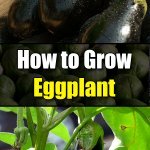 In choosing how to propagate your African violets, find out if you like leaf cutting or the seed method. Leaf cutting is done in the spring. Remove a healthy leaf with the petiole (stem). Using a sharp knife, cut at a slant the petiole to about 1-1/2 inches in length. Using a chopstick or pencil, make a small hole in the potting mix, place the leaf petiole in the hole, and water thoroughly. Do not repot until the leaf stem has at least two or three leaves, a period of about six months depending on conditions. If you choose propagating African violets from seeds, germination will be about a week to two months or more, depending on your seeds’ condition. 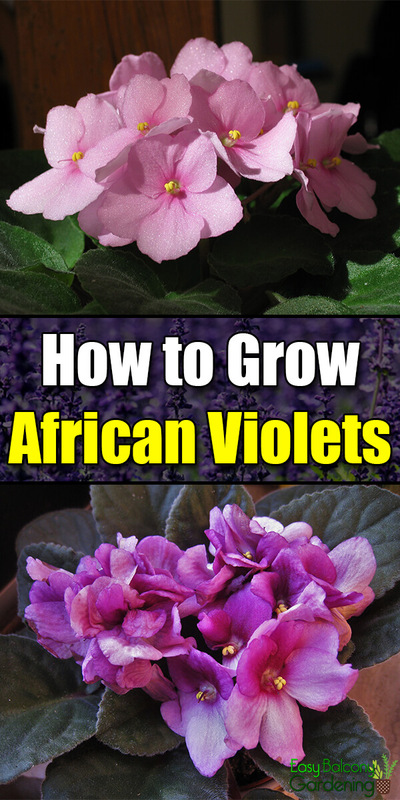 In learning how to grow African violets, remember two things they do not like: direct sunlight and dark places!